The following outlines how to adjust images for use with Dr. Metaza2 to output to the MPX series printers. This outlines how to add and use frames with Dr Metaza 2 templates. These frames are based on materials from EIM Image. If using other manufacturers' materials, you may need to modofy the frames to fit your templates. The following is the poster for Fathers day which is part of the MPX BizTools Kit. The following is the holiday poster which is part of the MPX BizTools Kit. The following is the poster for Mothers day which is part of the MPX BizTools Kit. This is a slim take away form that talks about how the Metaza is right for photo printing and also doubles as an order form which is part of the optional MPX BizTools Kit. The following ZIP contains window sticker files which are part if the optional MPX BizTools Kit. 32-bit Windows 2000 driver v1.10 for MPX-50, MPX-60, MPX-70, and MPX-80 Impact Printers. 32-bit Windows 8 driver v1.30 for MPX-70, MPX-80, MPX-90 and MPX-90M Impact Printers. 64-bit Windows 8 driver v1.20 for MPX-70, MPX-80, MPX-90 and MPX-90M Impact Printers. 32-bit Windows Vista driver v1.20 for MPX-50, MPX-60, MPX-70, MPX-80, MPX-90 and MPX-90M Impact Printers. 64-bit Windows Vista driver v1.20 for MPX-70, MPX-80, MPX-90 and MPX-90M Impact Printers. 32-bit Windows XP driver ver. 1.30 for MPX-50, MPX-60, MPX-70, MPX-80, MPX-90 and MPX-90M Impact Printers. 64-bit Windows XP driver v1.20 for MPX-70, MPX-80, MPX-90 and MPX-90M Impact Printers. This covers the proper way to clean the adhesive sheet of your MPX-70 or MPX-80. Keeping the adhesive sheet clean will prevent lines caused by movement of materials during impacting. 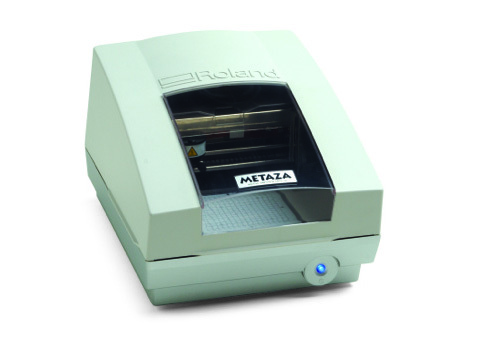 This outlines how to configure Windows printer driver for Roland's MPX70 Photo Impact Printer as well as the Dr Metaza 2 software program for optimal printing results. This service bulletin outlines getting started with the Head Manager utility for MPX-70 and MPX-80. Includes screen shot and step-by-step workflow. The following download includes frames for the pendants sold by EIM Image. Please refer to your software documentation/help contents for instructions. The following download provides the software templates for the most common pendants from EIM Image. Please refer to the enclosed installation instructions. Head Manager Utility for MPX-70. This software is compatible with Windows 7, Vista, XP, 2000, Me, 98SE. Please uninstall the old version prior to installing this version. ​What consumables can I replace myself and what are the part numbers?